​For as long as I can remember, I have had an admiration for animals in the wild. Certain species such snakes, turtles---reptiles in general---along with deer, bear, and big cats have garnered most of the attention. I must confess that although birds are distinctly unique,it has only been during the past several years that I have developed a greater appreciation for them. ​I live in the city limits of Kannapolis, NC but this section of the city is primarily rural. When I step outside the door, the surroundings are woodlands on a hillside with a gravel road splitting the territory. Kind of a reminder of West Virginia so in a sense, a slice of the old home interspersed with the present one. The charm of this setting has been the wildlife---deer, wild turkeys, raccoons, opossums, even a gray fox---but none more so than the raptors. 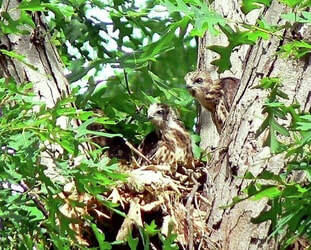 Red shouldered hawks by day that give way to their nocturnal counterpart, the barred owl. Both my wife and I are fascinated by both. 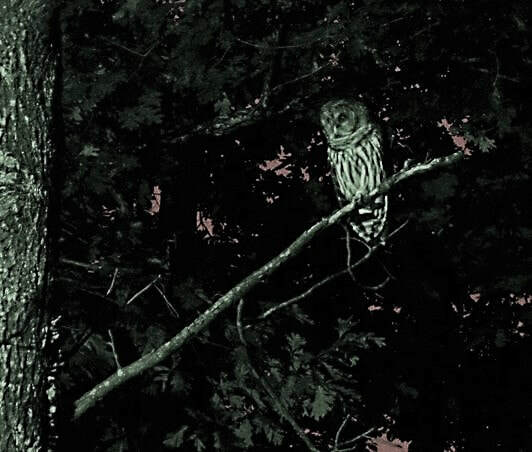 During the warmer months, no night is complete without the call of one, sometimes more, barred owls. 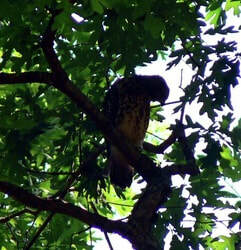 It is an awesome experience to actually see them fly, perch, then take flight on a downward swoop for a hunt. By day, we witness several hawks flying high above, coasting in the wind, then landing in nests throughout the neighborhood. There is a tranquility created by these birds because one is so enamored by watching them, it becomes Mother Nature's stress relief. Problems of the day are forgotten if not for more than but a few minutes. 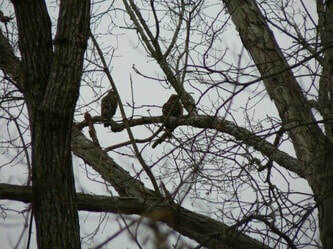 This winter is the second year that a pair of hawks has returned to a tree directly adjacent to the house to nest. We've affectionately named them "Henry" and "Harriet" and I am convinced it is this same pair because they knew to return to this nest. As of the time of this writing, they have been busy rebuilding last year's nest so it appears they are going to spend another season with us. I'm hoping to get at least a couple of good images of "Henry" and "Harriet" this year to add here. Taking photos of any owls will be a challenge...the camera will have to be set up and ready in anticipation that one may appear at any time. This was the first opportunity to capture an owl with a camera. Unfortunately, the camera settings were not optimized for this shot but I was hesitant to spend the time to do so for fear that the owl would fly off before I was set. Incredibly, this barred owl was content to perch on this branch in the back yard for about five minutes and was not disturbed by my movements though careful as they were. I believe this fascinating predator is a resident in the adjacent woods as we hear it calling on any given night. Sometimes there is more than one and we are treated to a cacophany of hoots and calls that echo through the night time woods. Quite a thrill! 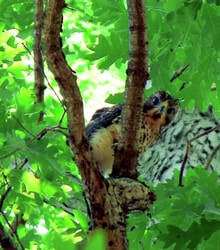 After returning again in 2012, it appears that the hawks have moved on to another location in the wooded area below the house in 2013. The nest that they had been using and rebuilding each season in a large white oak tree by the house was ravaged by squirrels this year.